« Are Jesus and Mary Appearing Today? Well we are currently in crunch time for New Year’s Resolutions. The number of you keeping your resolution is shrinking week by week. It was already at 75% just one week into this year, it was at 64% by the end of January, and as low as 46% by the end of June. 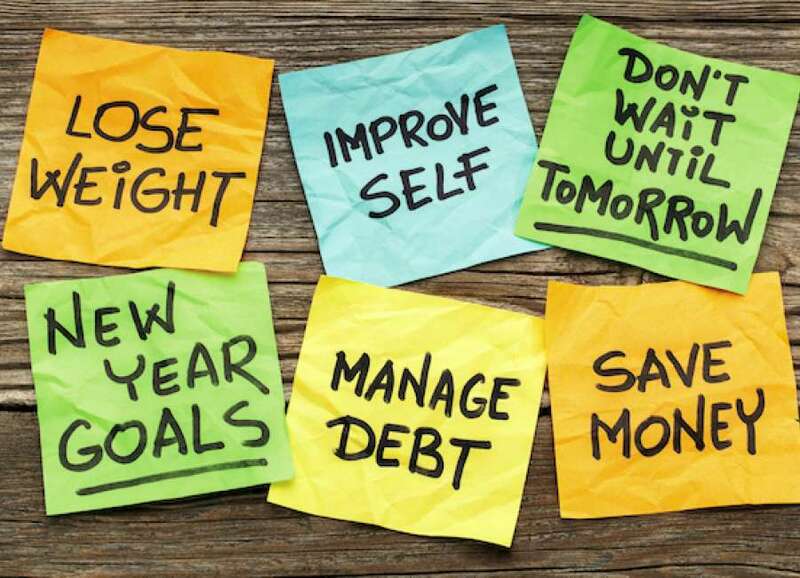 The statistics are part of a newly released study out of the University of Scranton’s Journal of Clinical Psychology which indicates that while a total of 62% of us actually make resolutions usually or infrequently, only 8% of that number are successful in achieving the goal they had set for themselves at the start of the year. With such a small success rate perhaps it is little wonder that 38% of us don’t even both making a resolution at all. While it can be easy then to scoff at New Year’s Resolutions and dismiss them as only for those who want to lose weight, make money or find love, the choice of goals are often a part of the problem. One other study of New Year’s Resolutions out of Australia found that of those who failed, 35% admitted it was because the goal was too unrealistic, 33% didn’t keep track of progress, 23% forgot about it and 9% said they made too many resolutions. It’s easy enough to say that we want to lose weight but we probably need to instead consider pledging to cut back on the daily soft drink or the nightly bowl of ice cream. If we want to have more money we’ll probably need to create a workable budget instead of buying a greater number of lottery tickets. However, New Year’s Resolutions can and should form an important part of the ongoing growth of any person, they can deal with more than fat and finance. As human beings we actually have an innate need to be making resolutions that are going to better our lives but also the lives of others. Resolutions are actually about anticipation; anticipation that we can be more and give more; that good things are on their way. You might bring to mind an event you are currently looking forward to, perhaps a family celebration, a night out with friends, or maybe you have bought a ticket for a concert later in the year. Sometimes the joy of looking forward to these events can even be better than the event itself which can be over so quickly. We all need to have things to look forward to, this is a resolution to be hopeful about what is before us. Hope is severely under rated in our modern Western Culture and that ‘hopelessness’ is reflected in an age that has more depression and despair that any before it. This lack of hope is also most often seen in young people and as people with their whole lives ahead of them, this age bracket should be the most hopeful of all. Unfortunately the hope of the young has been trained to focus on consumerism and technology and as is quickly realised, these joys fade. While the annual Boxing Day sales provide a great sense of ‘hope’ for tens of thousands of people it is a transient hope, once the credit card has been swiped the spiral of joy is ever diminishing. So what we need most deeply are resolutions that are not going to fade. We need to seek to be better people but that doesn’t only mean we look better in the mirror, it means we are better in reality. It means that we might adopt a resolution to be kinder to a certain person we struggle with, or more patient with a particular family member or we may resolve to be a more positive person and begin to point out the good things in life instead of only alerting others to what is going wrong. Even these noble ideals won’t just happen, we need to have a plan to make that happen by reviewing ourselves ideally at the end of every day. And lastly the beauty about New Year Resolutions is that every day is a new day and a chance to start afresh. It is worth observing that the great saints and heroes of old were not those who never fell, but rather they are those who got up over and over and over again. So all the best with your resolutions for the year ahead. May we all be better people at the end of this year than we were at the start.